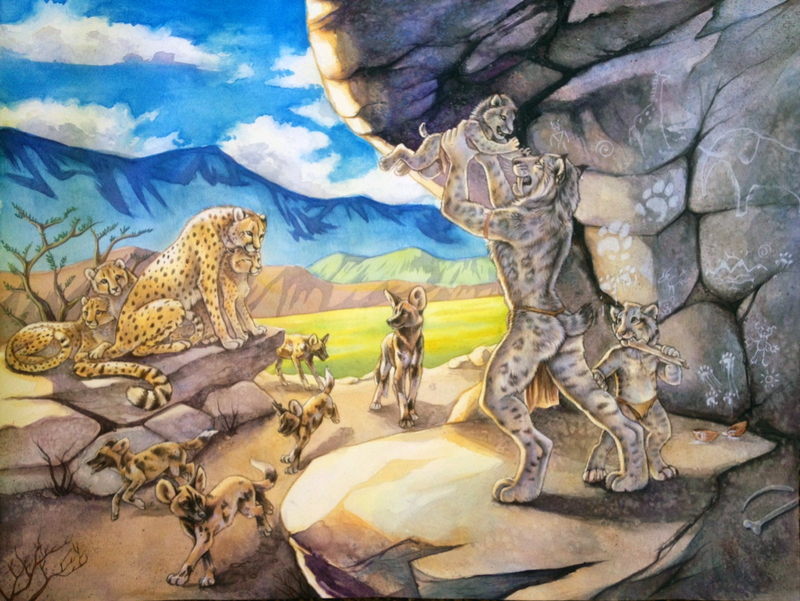 Toofs the Sabertooth and Cubs, Original Watercolor for Spottacus, by Thornwolf, 2013. Not enough family art in the fandom... so here is a commission, nearly 18 months to complete, done in watercolor. Note the details, including primitive art and handprints on the rocky walls. Shown in the FC 2013 art show prior to delivery.